SEOUL (Yonhap) -- North Korea has stressed the establishment of measures to prevent flooding during the rainy season this summer. North Korea has suffered flood damages almost every year which aggravates the country's already severe food shortage. Rodong Sinmun, the organ of the ruling Workers' Party of (North) Korea, carried five articles dedicated to the prevention of flood damages in almost half of its fifth page on July 5. In a story titled "anti-damage measures prepared with innovative insight," the paper said construction to double the width of a river in Kumya County, South Hamgyong Province, was carried out last winter to control flooding and that water levels of several streams in the region now can be controlled thanks to the embankment of a hydraulic power plant in the Kumya River. The newspaper introduced anti-disaster efforts in co-op farms in Mundok County, South Phyongan Province, and in Unjon County of North Phyongan Province and a fruit farm in Sariwon, Hwanghae Province. 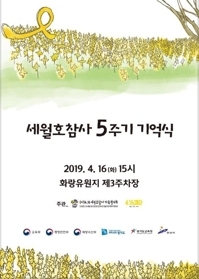 Rodong Sinmun also asked the people to take good care of livestock and poultry during the rainy spell and to thoroughly disinfect their living quarters in order to prevent animal disease epidemics. Earlier on June 18, the paper urged residents to prepare thorough measures to prevent flood damage in an editorial. It said the country is having much more precipitation these days than before and that there will likely be heavy rains and typhoons this summer. The North's official Korean Central News Agency reported last year that 560 people were killed or listed missing by torrential rains and floods which hit the country from late June to late July. The damages also included destruction of 8,600 homes and the flooding of 65,000 hectares of farm land. In addition, 212,000 people were left homeless. The (North) Korean Central TV Broadcasting Station, which airs TV programs nationwide, released a program titled "measures to protect farm crops during the rainy season" on July 4. 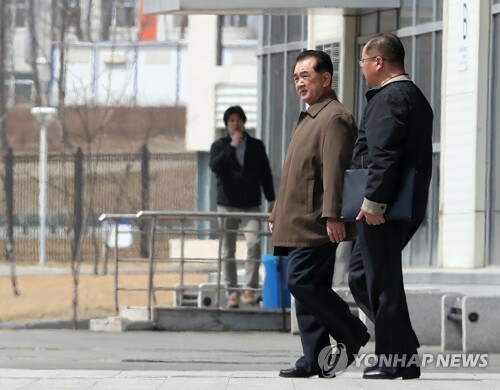 SEOUL (Yonhap) -- North Korea is ramping up efforts to give better treatment to its scientists and engineers under the new leader in hope of spurring the development of the science and technology sectors. In an editorial on July 5, Rodong Sinmun, the organ of the North's ruling Workers' Party, called on party officials to ensure the comforts of the technocrat workers and to refrain from mobilizing them to irrelevant activities that may distract their research. "The success of the two-pronged policy line hinges on the rapid progress of science and technology," the editorial said. Pyongyang has pursued the two-track strategic line of developing the economy and its nuclear capabilities simultaneously since new leader Kim Jong-un gained power. In line with such efforts, a special residential complex for scientists and engineers is under construction in the suburbs of Pyongyang, according to the North's other media reports. The new estate will accommodate hospitals, schools, amenities and parks for some 1,000 families of scientists and engineers, the reports said. During his recent visit to the construction site, the leader Kim Jong-un ordered officials to "build the best houses for our scientists," and said he will personally inspect them upon completion to see if they are up to his high standard, according to the state media. North Korea watchers point out that the socialist country wants to instill strong pride and confidence in its scientists and engineers. Hundreds of scientists and technicians had been awarded honorary titles, medals and prizes after the North successfully carried out the December rocket launch and a nuclear test in February. "The Republic cherishes its scientists and engineers when they demonstrate outstanding achievement, such as by conferring the Hero of Republic and Hero of Efforts titles," the country's propaganda website Uriminjokkiri said on July 2. The markedly warm stance toward scientists and engineers by the Kim Jong-un regime stands in contrast from much neglect and indifference under the late leader. "In the days of late leader Kim Jong-il, scientists were assigned to all kinds of activity and labor. They were virtually at the bottom of the social ladder," said a North Korean defector who asked to remain anonymous. 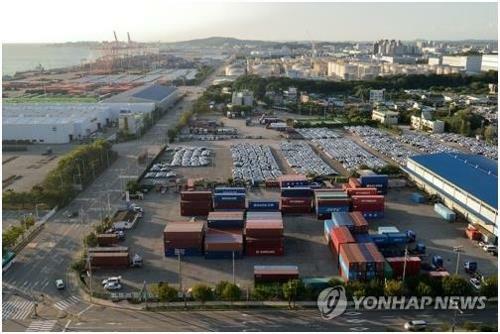 SEOUL (Yonhap) -- North Korea on July 6 criticized South Korean President Park Geun-hye's latest call on the North for "sincere dialogue" with the South, as delegates from both sides discuss reopening a stalled jointly-run industrial park in the socialist country. Park said during a media interview in China in June that the North's sincerity during talks with the South will be the key to setting in motion her signature trust-building process on the Korean Peninsula. She was interviewed by China's state-run CCTV television station during her summit with Chinese leader Xi Jinping. "Nobody on earth would believe that they can have a 'sincere dialogue' with one who viciously slanders the opposite party's policy lines," reported Rodong Sinmun, the organ of the Workers' Party of (North) Korea, in a Saturday commentary. Seoul's constant emphasis on having "sincere dialogue (is) nothing but a tactic to avoid its responsibility of breaking up the previous inter-Korean talks and hide its true mind of opposing improvement of ties between the two sides," the newspaper said. It warned South Korea that it should accept all unspecified consequences if it continues to provoke the North by disparaging against it. The two Koreas began working-level talks at the neutral border village of Panmunjom on July 6 to discuss the future of the suspended joint industrial park in the North's border city of Kaesong. 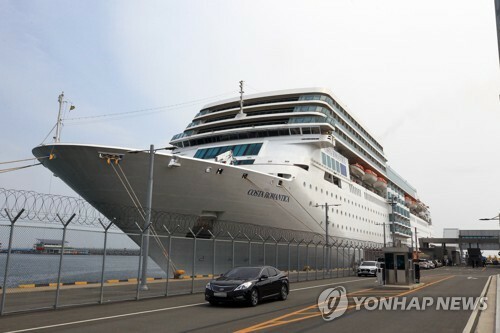 SEOUL (Yonhap) -- A delegation led by the special adviser for U.N. Secretary-General Ban Ki-moon on sports and peace visited North Korea for four days starting July 6, the North's media reported. The delegation led by Wilfried Lemke, Ban's special adviser on sports for development and peace, arrived in Pyongyang on July 6, the North's official Korean Central News Agency (KCNA) said in a one-sentence dispatch. The KCNA gave no other details, including the purpose of the U.N. official's visit but his title indicates that he may try to promote peace on the Korean Peninsula through sports exchanges. A day before, South Korea approved the entry of the North Korean women's national football team to play in a continental tournament to be held in the South later this month. The North Korean team will arrive in Seoul via Beijing on July 18 for the July 20-28 East Asian Cup tournament, Seoul officials said. 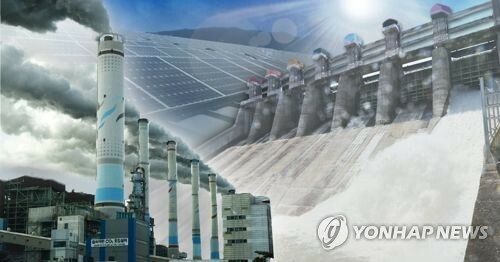 The move came a day before officials from the two Koreas were to hold a rare meeting to discuss ways to reopen a joint industrial complex in the North that has remained shut down for nearly three months. Meanwhile, the special adviser visited North Korea at the invitation of the socialist country, a news report said on July 9, pointing to Pyongyang's efforts to promote sports diplomacy. The special adviser was on a four-day visit to the North at the request of the North Korean regime, Washington-based Radio Free Asia (RFA) said, citing U.N. deputy spokesman Eduardo del Buey. Eduardo del Buey said the special adviser was to discuss ways to promote sports for women and disabled people, meet with high-ranking officials and tour sports facilities during the visit. 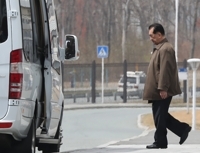 MOSCOW (Yonhap) -- North Korea's point man on nuclear issues held a five-hour-long meeting with Russian officials with both sides expressing interest in resolving problems on the Korean Peninsula, diplomatic sources said on July 5. Kim Kye-gwan, Pyongyang's first-vice minister, met with Deputy Foreign Minister Igor Morgulov and other senior diplomats in downtown Moscow on July 5 with the meeting lasting longer than expected. Before meeting Morgulov, Kim talked with Vladimir Titov, Russia's first deputy foreign minister. Neither side spoke to the press following the meeting, but Russia's foreign ministry said via its Internet website that the officials focused on how to handle the Korean Peninsula's nuclear issue. Pyongyang's nuclear program has raised tension on the peninsula and caused the United Nations to slap fresh sanctions on the socialist country following its third underground atomic test on Feb. 12. The ministry added that Russian officials stressed the need to ease tension and the return to the six-party talks based on adherence to the Sept. 19 Joint Declaration. The declaration reached in 2005 calls on the North to carry out verifiable denuclearization in exchange for extensive economic assistance, while the six-party talks aim to end the North's nuclear program in a mutually acceptable manner. 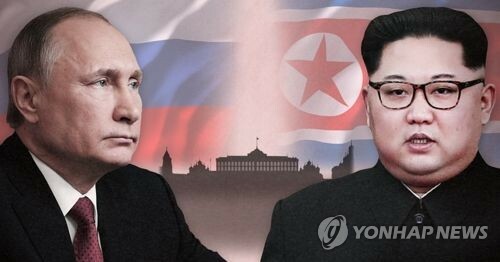 Moscow said that once the situation stabilizes on the Korean Peninsula, it will be able to vitalize multi-national economic projects. In the past, Russia had pushed for the building of a natural gas pipeline extending from Siberia to South Korea, and the linking of the Trans-Siberian Railway and the Trans-Korean Railway. 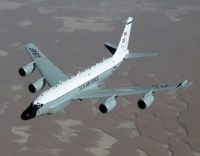 Both projects could benefit the two Koreas and Russia. North Korean watchers in Seoul said Kim's trip to Russia, following a similar visit to China, is a sign that Pyongyang is moving towards dialogue with neighboring countries over the nuclear standoff. They speculate that the vice minister probably asked Moscow to support its position in future talks, and to get Russia to call for talks without pre-conditions. Seoul and Washington have made clear on numerous occasions that the North must show it is serious about giving up its nuclear weapons before any talks can take place. The North, meanwhile, has insisted that it wants to discuss broader denuclearization of the Korean Peninsula that includes the nuclear umbrella the United States provides the South. The socialist country has claimed it cannot give up its nuclear deterrence in the face of continued hostilities by the United States. 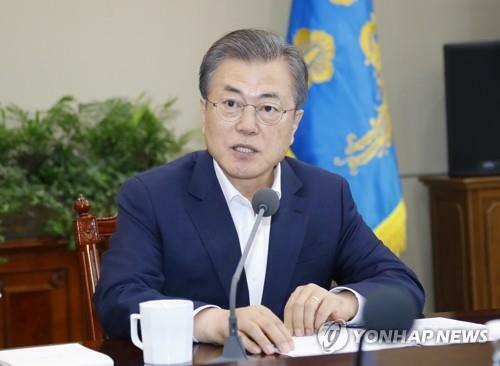 SEOUL (Yonhap) -- North Korea denounced the United States for disapproving of an emerging atmosphere of dialogue on the Korean Peninsula on July 10 as the Koreas held talks on a suspended joint factory complex. "The mood for dialogue and negotiations is in the air thanks to the (North Korean) republic's proactive efforts to cut out the cycle of tension on the Korean Peninsula," the North's mainstream daily Rodong Sinmun said in a column. The column also added that those displeased with the rapprochement mood are the U.S. and their followers. The column also criticized the U.S. for denouncing the North's possession of nuclear arms as a threat to world peace. "The real culprit posing threats to world peace is no other than the U.S.," the newspaper noted. "In order to secure world peace, war risks should be removed from the Korean Peninsula which is the ignition point for a nuclear war," the newspaper said. 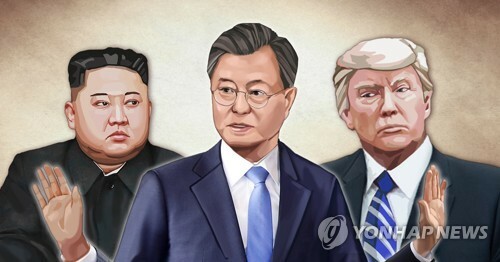 "To that end, the U.S. should forge a peace treaty with us and all the nuclear arms and U.S. soldiers should be removed from the South," the newspaper published by the governing party said as it raised the country's usual demands. The newspaper column was published as the two Koreas held their third working-level talks in recent months on Wednesday. 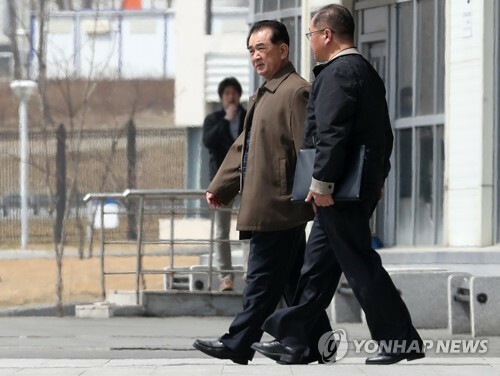 Officials from the countries met earlier on Wednesday at the Kaesong Industrial Complex in the North Korean border city of Kaesong to discuss ways to resume operations there. The factory park, designed to combine South Korean capital with cheap North Korean labor, has remained idle for nearly three months as the North pulled out its workers in protest against Seoul's annual joint military exercises with the U.S. in March. 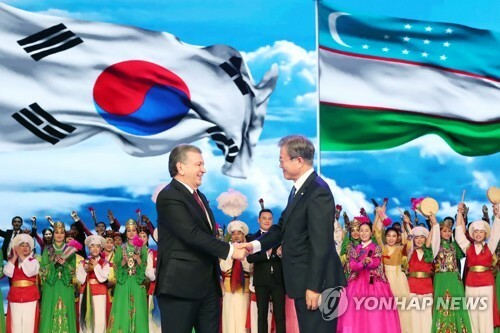 During their first talks to resume operations at the park, which were held last month, the countries decided to hold a high-level bilateral government dialogue, but it fell through over a protocol dispute. 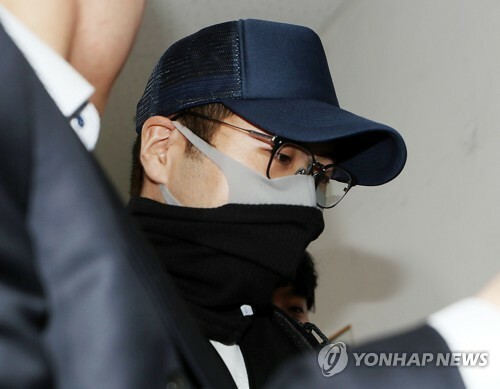 SEOUL (Yonhap) -- Even an attention-drawing visit by a high-ranking U.S. political figure won't help to win freedom for a Korean-American man imprisoned in North Korea, a pro-Pyongyang newspaper in Japan said on July 10. Kenneth Bae, whose Korean name is Bae Jun-ho, was arrested in North Korea in November on charges of trying to overthrow the socialist regime. In April, he was sentenced to 15 years of hard labor. In the past, visits by high-profile U.S. political figures like former Presidents Jimmy Carter and Bill Clinton led to the release of Americans jailed in the North. But Choson Sinbo, a pro-North Korean newspaper published in Japan, said in an article Wednesday that North Korea now "is taking a totally different path on this latest case." "The North says the reason behind an increasing number of crimes by Americans lies in the (U.S.) government's hostile policy toward the country," said the paper which speaks for the regime. In order to free Bae, U.S. President Barack Obama's government should come up with fundamental solutions for changing its hostile policy toward the North, the newspaper said. In an interview with the newspaper a week earlier, Bae said he hopes the U.S. government would work harder to gain amnesty for him. In response to the interview, the U.S. State Department said it is in regular communication over the Bae issue with the Embassy of Sweden in Pyongyang, which acts as a communication channel between the U.S. and the North. The media has speculated that the North is attempting to use Bae's case as political leverage to open dialogue with the U.S.